Welcome back for Week no. 7! If you are just beginning a piece for the #BohoSAL, check out my previous posts here. And if you are new to embroidery and want to learn the basics, check out my embroidery book, Boho Embroidery for everything you need to get started! 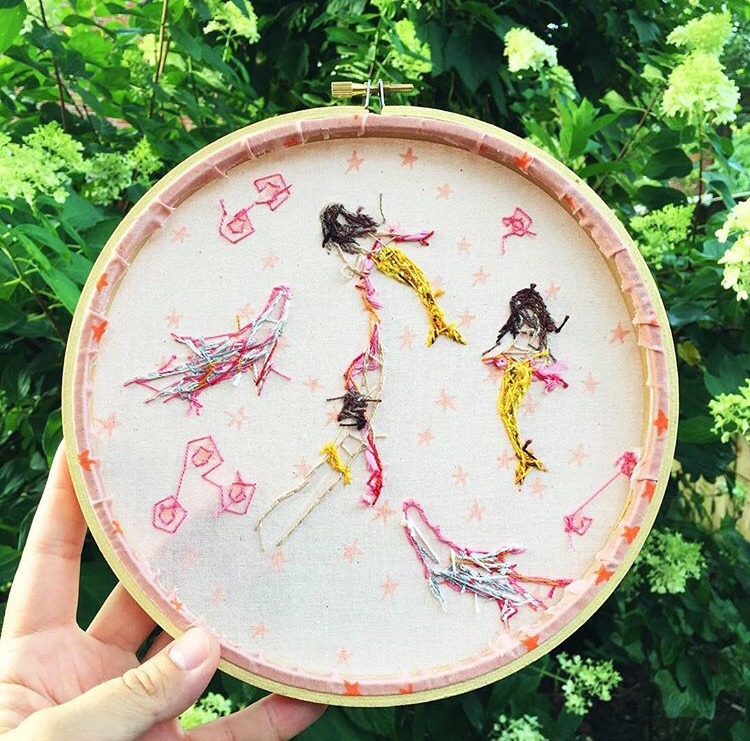 I love the #hoopguts on the back of my embroidery just as much as I like the embroidered front side of my hoops! I’ve seen many methods for dealing with the ends…some involve tying knots and others don’t. This is completely up to you! I’ll will share with you my method for achieving the guttiest of hoopguts! When I am left with a short piece of thread like this and I know I can’t get anymore stitches out of it, I will take my needle with the shirt piece of thread and I will weave it back into my stitches. This is the easiest method I have found to work with my thread ends! 1. 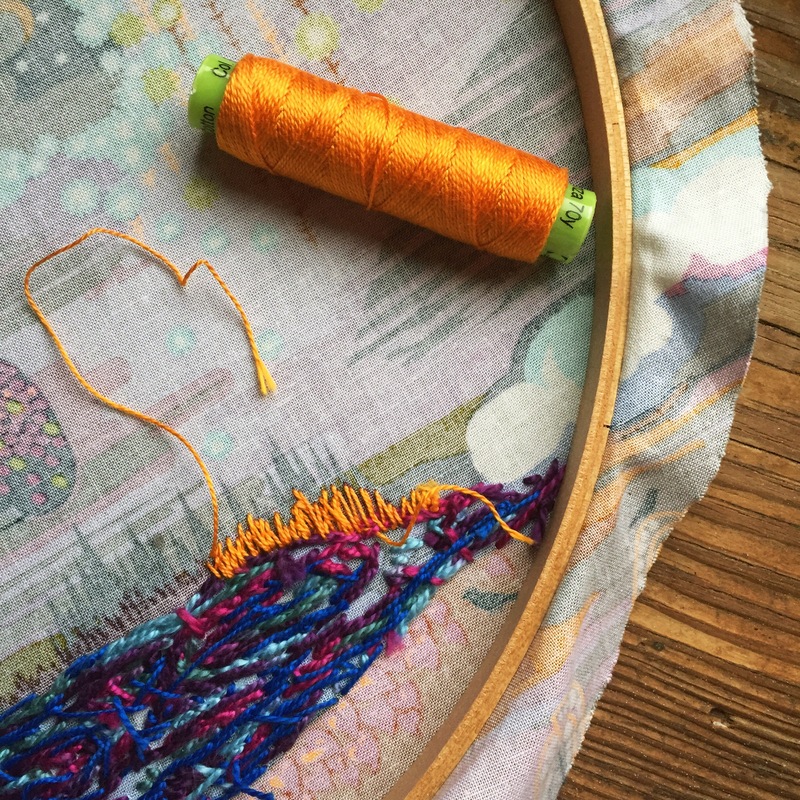 Be sure not to bring your thread through to the front of your piece again. Keep your woven ends on the back. This was a charcoal grey fabric and I didn’t need to worry as much about my stitches or stitch ends weaving back and forth and I quite like the business of hoopguts like this! 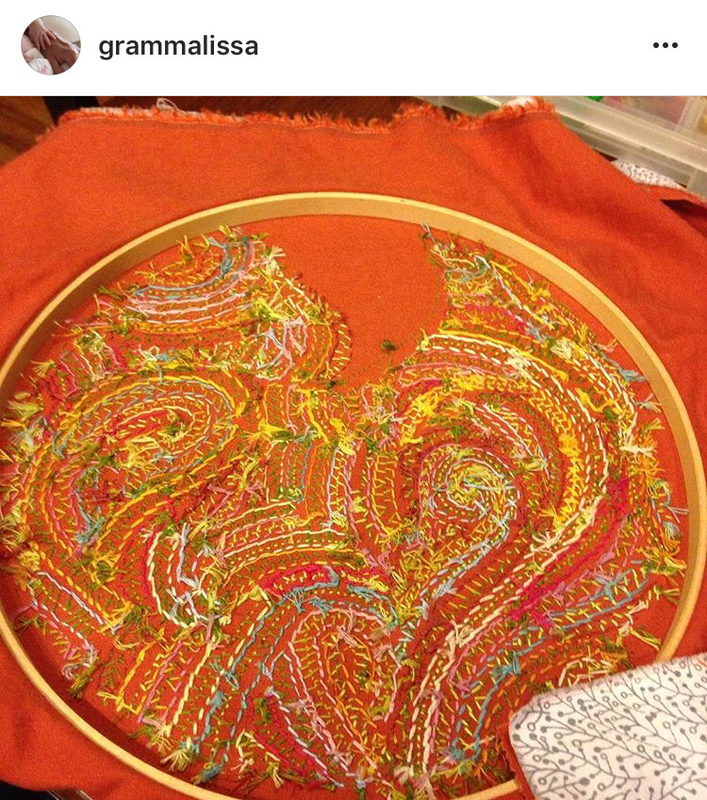 Now let’s see what some of our Boho Stitch Along friends have been up to this week! 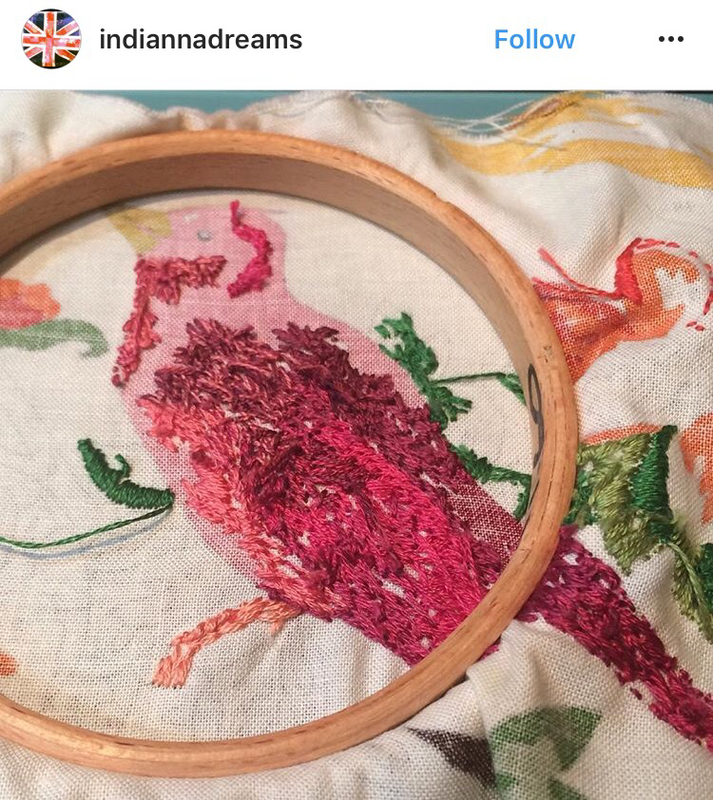 @indiannadreams is working is beautiful shades of pinks and reds and I love how these #hoopguts are so densely packed with stitches! Flipping over the hoop and letting use see the #hoopguts also allows us to see that each person has a different technique. 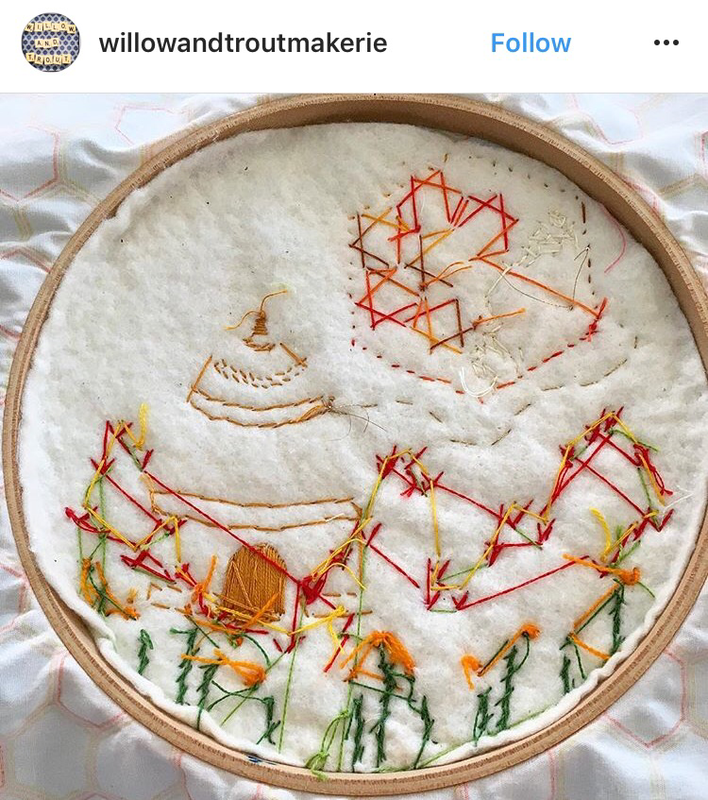 @willowandtroutmakerie is stitching honeycombs and hexies but is stitching through a layer of batting as well! @grammalissa has been featured here before and her hoop guts are just stunning. Hope over to her page and check out how this hoop, which is now almost finished except for the border! These are such delicate hoop guts being stitched up by @reccalynn70. 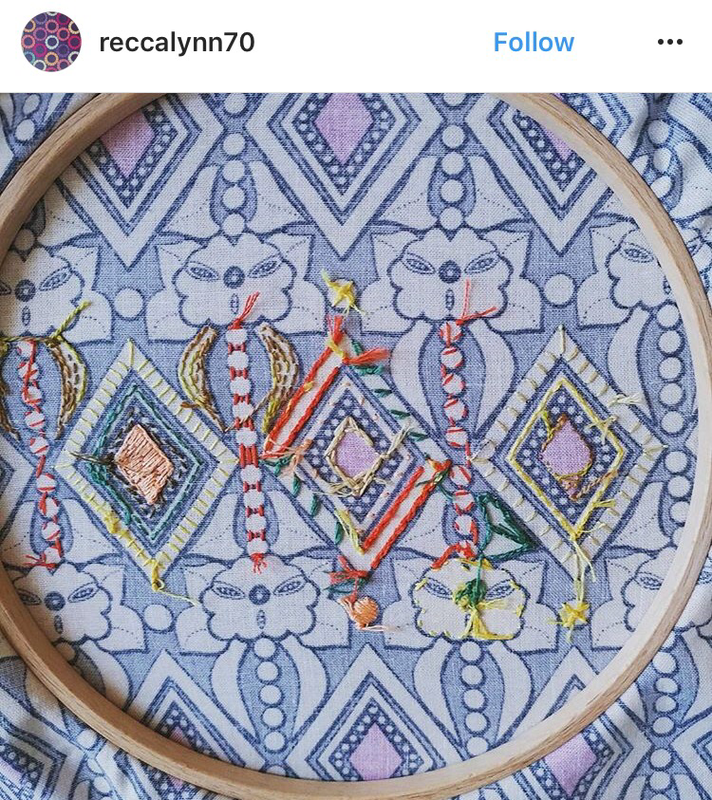 Check out the front of her hoop…I love the variety of stitches that she is using for her project! So there you have it! Gorgeous #hoopguts this week, stitchers! If you want more, be sure to check out the alternate tag: #hoopbutt over on Instagram!!! We have lots of new stitchers starting the stitchalong every week, so keep spreading the embroidery love to your friends! Happy stitching this week!